Opiate-like casomorphins liberated from the cow’s milk protein, casein, are accused of participating in the cause of such conditions as autism, crib death, type I diabetes, postpartum psychosis, circulatory disorders, and food allergies. 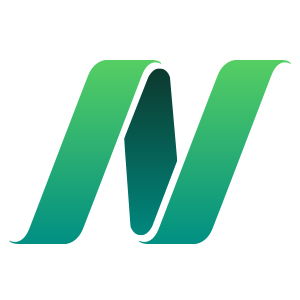 “Casomorphin, this opiate-like peptide produced by cow’s milk, “is also responsible for triggering pseudo-allergic reactions,” and other abnormalities seen in crib death. And moreover, similar to morphine, they delay the gastric emptying time, and so may increase the risk of infants refluxing stomach content back up into their lungs. In terms of autism risk, whereas the human casomorphins, which are the only ones found in the breast milk of women who don’t drink cow’s milk, are associated with “normal psychomotor development and muscle tone.” In contrast, elevated levels of bovine casomorphin found in cow’s milk-based, formula-fed infants was associated with a “delay in psychomotor development” and muscle spasticity. Sun Z, Zhang Z, Wang X, Cade R, Elmir Z, Fregly M. Relation of beta-casomorphin to apnea in sudden infant death syndrome. Peptides. 2003 Jun;24(6):937-43. Fiedorowicz E, Jarmołowska B, Iwan M, Kostyra E, Obuchowicz R, Obuchowicz M. The influence of μ-opioid receptor agonist and antagonist peptides on peripheral blood mononuclear cells (PBMCs). Peptides. 2011 Apr;32(4):707-12. Kost NV, Sokolov OY, Kurasova OB, Dmitriev AD, Tarakanova JN, Gabaeva MV, Zolotarev YA, Dadayan AK, Grachev SA, Korneeva EV, Mikheeva IG, Zozulya AA. Beta-casomorphins-7 in infants on different type of feeding and different levels of psychomotor development. Peptides. 2009 Oct;30(10):1854-60. Images thanks to Ninjatacoshell, John Curtis, Shardan, and zimpenfish via Wikimedia Commons, and Judy Baxter via Flickr. Republishing "Cow’s Milk Casomorphin & Autism"
Cow’s Milk Casomorphin and Crib Death. Breast is always best, but the breast milk of women eating plant-based diets may not only exclude bovine casomorphins, but contain lower levels of industrial pollutants like dioxins; see Flame Retardant Chemical Contamination. For other effects animal products may have on healthy development, see Dairy & Sexual Precocity, and Protein & Puberty. No wonder Dr. Spock, the most esteemed pediatrician of all time, recommended children be raised without exposure to meat and dairy (see Doctors’ Nutritional Ignorance). like dioxins. See Flame Retardant Chemical Contamination. For other effects animal products may have on healthy development, see Dairy & Sexual Precocity and Protein and Puberty. No wonder Dr.
that isn’t enough, there are and hundreds of other videos on more than a thousand subjects. Please email me to schedule an interview at Paul@AutismRadio.org – thank you for your time. since I’ve gone vegan I feel much more normal. I bet that reproduceable. I appreciate that the link of bovine cow milk to autism has more than one reference. I had to drink skim cow milk at a baby because I could not digest my mother’s milk, regular cow milk or other milk available in ’71. I think because I was premature, I perhaps couldn’t digest the fat in the milks. I bet I would have flourished on soya or almond milk, but I don’t think it was commonly available at the time. Fortunately, I did not develop autism or other problems from the skim milk. I really loved the depth of the analysis in this brief segment. There should be a distinction made here. What kind of milk is being tested? My guess: industrialized, homogenized & pasteurized milk. People have drunk raw milk for thousands of years, and no doubt fed their babies raw milk during said time. While i’ve no doubt that these associations are true within the industrialized food context, left to it’s own devices the simple, unadulterated foods nature provides it’s own defenses against most potential pathogens. Drink Raw Milk, Know Your Farmer. Because the purported link is thought due to casomorphin, which is a natural component from milk that presumably developed through millions of years of evolution to strengthen the mammalian infant-mother bond (rather than some industrial additive like bovine growth hormone), one would not expect raw milk to have any advantage in this regard. True, milk has to be inherently milk. My own (completely amateur!) research has led me to think that the benefits of raw milk and it’s products outweigh the potential cons. Thank you for your (completely professional!) research and hard work on this site. It is helping thousands know about the vast healing properties of food !! Little evidence actually supports raw milk over pasteurized. You will find many websites though without scientific backing advocating this milk as superior when in fact they both contain the same harmful compounds. Raw milk should not be considered a healthy food. there are inherent ingredients in milk that are not removed with pasteurization, such as xenoesterogens, which make this food quite harmful to consume. Hey, thank you, i appreciate the link. Early puberty in children is shockingly sad (and if you combine it with our culture’s focused effort at pushing our children to ‘grow up’ via media it’s doubly so.) I do want to point out however that in the tagline above the linked video it says ‘until the twentieth century’ puberty held off until 16-17 years old. Which, interestingly enough is the exact century in which we whole-heartedly started tampering with our food, perhaps out of necessity, true, but it sure ain’t what our grandparents ate and we have the diseases and skeletal deformities (i.e., teeth) to prove it. I am a Weston Price devotee, but i am also a believer in the power of clean veg & fruit & vitamins and have seen the power of juicing for example in my life! Whether we are veg*n or real foodists, my main priority is that we are informed and FREE to choose what we put into our bodies. Thanks again, i love when people are passionate enough about their food to make a statement! also uniting the animal/veg line are refined products. vive la difference, it keeps us honest =) Cheers! Milk is nature’s food for infants who have unique nutritional requirements. Adults have no need for breast milk. What has to be done to cows to get their milk and what is done to calves (killed or isolated for veal then killed) is hideously barbaric. Time for people to grow up and consume only adult food. We get our raw milk from a farm that keeps the calves with their babies, and milk as that allows– thereby growing the herd as well. I’m sure it isn’t without its faults, but I think for diary drinkers it’s a step forward. I agree with you thigh- I’ve seen veal farms back home and it’s heartbreaking. That practice is inhumane and we should know better. Peace to you . “Dairy” breeds such as Holsteins have been bred to overproduce milk, which unnaturally taxes their bodies. In nature, cows produce enough milk for their young; perhaps a little extra, but certainly not enough for a dairy industry. I might ask about what happens to the male calves, and what happens to the mother cows when they cannot produce enough milk to be profitable. Billions of healthy people throughout the world don’t drink other species’ milk, and in fact most human adults are lactose intolerant – our natural state. Fortunately, there is an ever- growing variety of plant milks for pouring on our cereal, and they don’t have the two dozen hormones that are inherently in bovine milk but foreign to the human body. Also be sure to check out my associated blog post Cow’s Milk Casomorphin, Crib Death, and Autism! Something for the kids which hasn’t been linked to autism. Place all ingredients in blender and blend until smooth, 1-2 minutes. It digusts me when people who have an agenda use Autism to promote it. It is absolute rubbish that Autism is caused by Dairy or any other foods for that amtter and to promote this rubbish is just a con job. TO pray on vunerable people with a disability is disgusting. You mean ‘prey’, not ‘pray’. But I think your assumption is wrong anyway. Thus, bovine or human β-CMs may be of pathological importance in some infants with SIDS who may absorb excessive amounts of such bioactive peptides. In order to establish such a hypothesis, however, endogenous as well as exogenous opioid peptides must be measured in plasma and CSF of neonates with respiratory disturbances and compared to concentrations in healthy individuals. Thank you fro the link. Just curious….is this also true for goat and sheep milk or just cow milk? I was wondering if there was any link between autism and the consumption of cow’s milk during pregnancy. e.g. Cases where the infants are breastfed from the beginning but still diagnosed with autism later on. 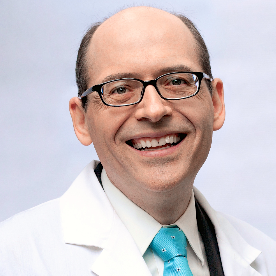 Hello Dr. Greger, In the past year I have developed histamine intolerance and I break out in hives. I understand this is exacerbated in menopause. I have noticed that dried fruit is a trigger, but not the only one. I eat a whole-foods, plant-based diet, 99% vegan. Can you give me any suggestions of dietary changes or other avenues to pursue? Hi, thanks for reposting your question. Someone commented on this before, I’ll link you to her comment as she found a study about histamine in foods. The dried fruit may contain sulfites, which can be problematic. The study posted says “Histidine is generated from autolytic or bacterial processes (74). Therefore, high concentrations of histamine are found mainly in products of microbial fermentation, such as aged cheese (75), sauerkraut, wine (76), and processed meat (77, 78) (Table 3⇓) or in microbially spoiled food. Thus, histamine, tyramine, putrescine, and cadaverine serve as indicators of hygienic food quality (73). Tyramine and putrescine also may lead to intolerance reactions in combination with histamine.” Dr. Greger does have info about putrescine, which may also be helpful. Thank you for the reply. I have read both articles. Since this histamine response is new (I have never reacted to these foods in the past 50 years), and I am a vegan, the cause is most probably related to lower estrogen and progesterone levels. My questions are: Is there something that could be lacking in my diet that would aggravate the problem? Could there be a microbiological imbalance in my GI tract? Where would you recommend testing for dietary sufficiency in all vitamins and minerals, etc. Are there probiotics that would help? I know most women do not experience this, but google searches show that a fair number do. I am looking for the root cause. I don’t just want to give up spinach and strawberries. Thank you! Not sure about anything “lacking” in diet that could aggravate symptoms. Standard lab tests ordered by your doctor would cover important vitamins and minerals. I would say no harm in trying a probiotic. Make sure to find a good brand or run a test on it like Dr. Klaper mentions. ​Here is a great Q&A written by Dr. Greger on​ probiotics , if interested. Good luck I hope you find some relief. What about colostrum? I guess one of the dangers of milk is casein but also the IGF. However, regarding colostrum, I’ve read that its IGF is good to reducing inflammation and for cancer patients (enhancing the immune system) Is this really so? Is colustrum as good as I’ve read? Thank you. Hi Felipe, lots going on in your question here. Casein is the animal protein in milk so like other animal proteins can stimulate an inflammatory response that leads to a cascade of problems through out the body. IGF, is insulin growth factor that is released in response to insulin release following the ingestion of carbs and proteins. This growth factor incites cell proliferation which, when unchecked causes tumor formation. Colostrum is a unique fluid that is formed prior to giving birth and available when the newborn first nurses. It is unlike milk in many ways in that it not only has a lot of the mother’s antibodies to protect the baby but also several components to prepare the GI tract for future meals. One thing I find most interesting is that the colostrum contains probiotics which is only there to provide nourishment for probiotic bacteria that will colonize in the gut! I’m sure as the years go on there will be other wonderful discoveries about the miracle of colostrum. I thought I heard of a doctor back east who has a clinic in which he tests Autism. Does any one know about this?